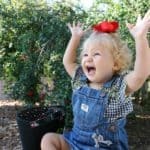 A Walt Disney World vacation is already challenging to plan and it can be really overwhelming for first timers. Throw in the special “hard ticket” events like Mickey’s Not-So-Scary Halloween Party and you have an entirely new set of rules to learn. 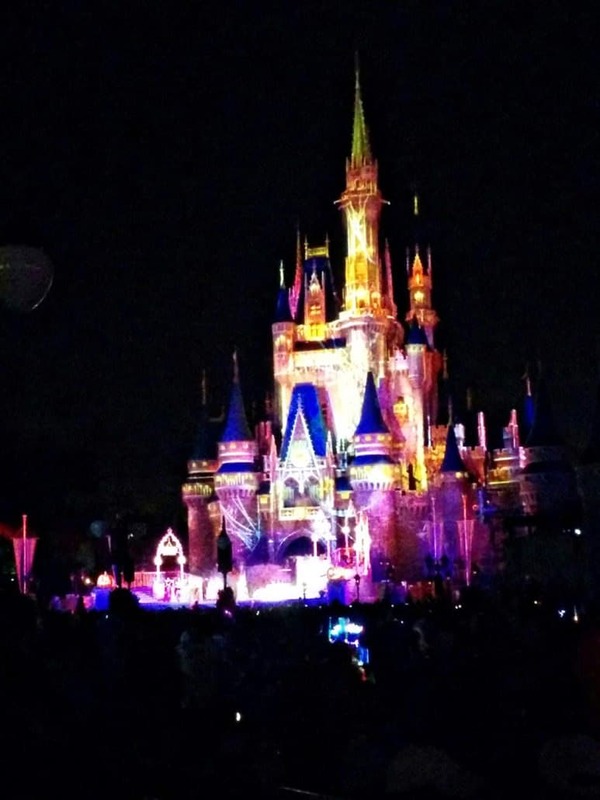 I experienced my first Halloween Party at Disney World – these are the top 20 tested tips I’m sharing with you! Please note that I use affiliate links in my posts. Clicking through and purchasing through the link helps me in a small financial way, thank you! First Halloween Party at Disney World? Last year I had the chance to attend Mickey’s Not-So-Scary Halloween Party at Disney World. I was visiting for a conference and had my (then) 5-month old daughter in tow. I didn’t do much research to prepare but these are a few things I gleaned from the visit. 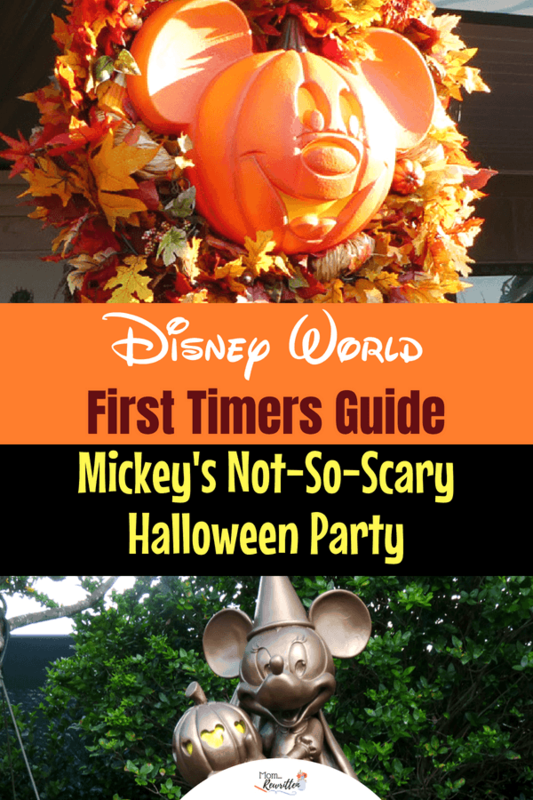 If it’s your first Halloween Party at Disney World, these are the must-read tips! 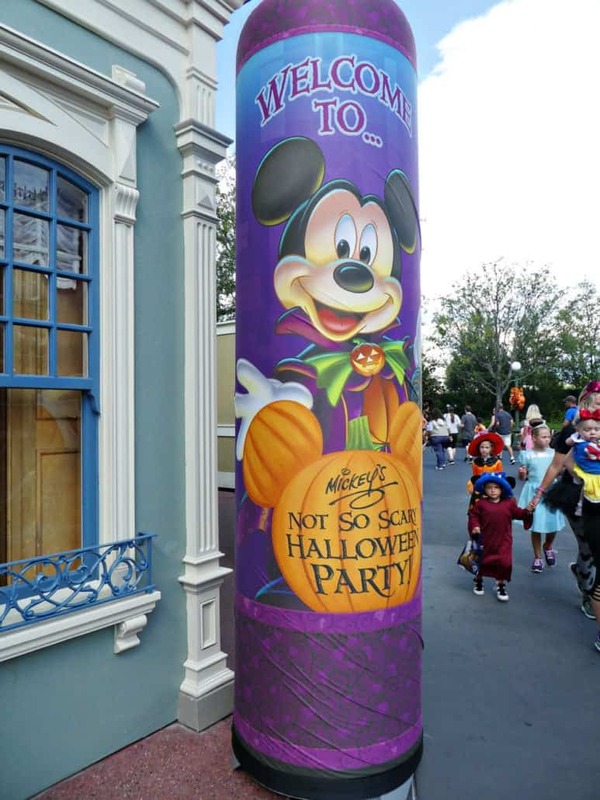 Mickey’s Not-So-Scary Halloween Party is a “special ticket” event. You do NOT need a regular Park ticket to attend. You need to purchase the event ticket only. Prices for the event vary, depending upon the date you attend. 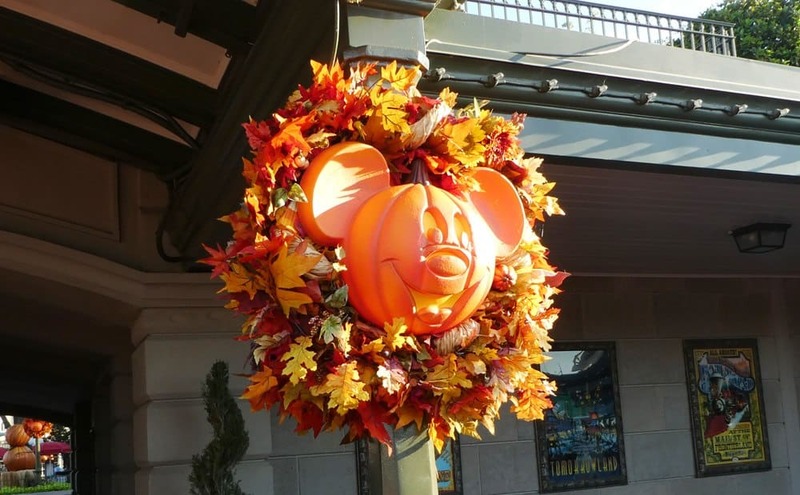 If you’re going to use a Park ticket to visit the Magic Kingdom in the morning, understand that this Park ticket doesn’t include the Halloween Party. This means you won’t be able to stay and Cast Members will be strategically clearing out the Park (Halloween Party-goers receive a special wristband designating them to stay for the party). If you have a Park ticket and not a Party ticket, you’ll be asked to leave at 7 pm. With party hours extending to midnight, my suggestion is to take it easy during the day. The party ends at midnight and then you still have to walk to transportation and get back to your room. It was nearly 1:30 am by the time I rolled into bed! Try and sleep in. 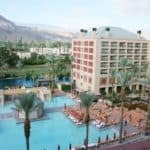 Spend time relaxing at the Resort. Take a nap if possible. Save your ticket and skip going to the Parks that day. 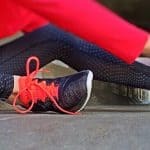 You’ll want to save your energy for the Party! Keep an eye on the weather report. It’s likely going to be VERY hot and humid during the Party. On my visit it was already hot and then it sprinkled and the humidity shot up. I was wearing leggings and a tank with a shirt over the top. That shirt came off pretty quickly! Bring a poncho if rain is in the forecast. Speaking of heat and humidity, you don’t want to be overdressed in an elaborate costume. I mean, Sully from Monsters Inc. is a great costume but TOTALLY not appropriate for the Party because you’ll be way too hot. I suggest lightweight and layers. This way you can take things off as needed. Adults are allowed to dress in costume for the Party event only. Be sure to check out the costume guidelines first. Lots of families go with a costume theme, like all the characters from Peter Pan, Inside Out or Alice in Wonderland. Search Pinterest for lots of dressing up Disney ideas. Nobody says you have to wear a costume, but it is a fun way to get into the Party spirit. 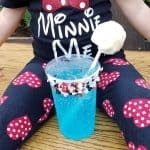 Consider Disneybounding! Or just wear a simple Halloween or Fall-themed tee or face paint. Pre-party be sure to do your research and plan out a bit of your evening. Those 5 hours of Party time go very quickly and if there are certain things you want to see and do, try and schedule them out. The My Disney Experience app is free to download on your phone. You’ll be able to schedule showtimes into the app along with keeping track of dining reservations. Though the Halloween Party at Disney World kick starts at 7 pm, guests with the special event ticket are actually allowed to enter much earlier! You’ll be allowed to enter at 4 pm with your Party ticket. Plan to arrive earlier to pass through the crowds at security. Then at 4 pm on the dot you’ll be permitted into the Park! As you enter the Park, Cast Members will be handing out small treat bags for collecting candy along with a guide map. This guide map is your key to the evening’s activities. 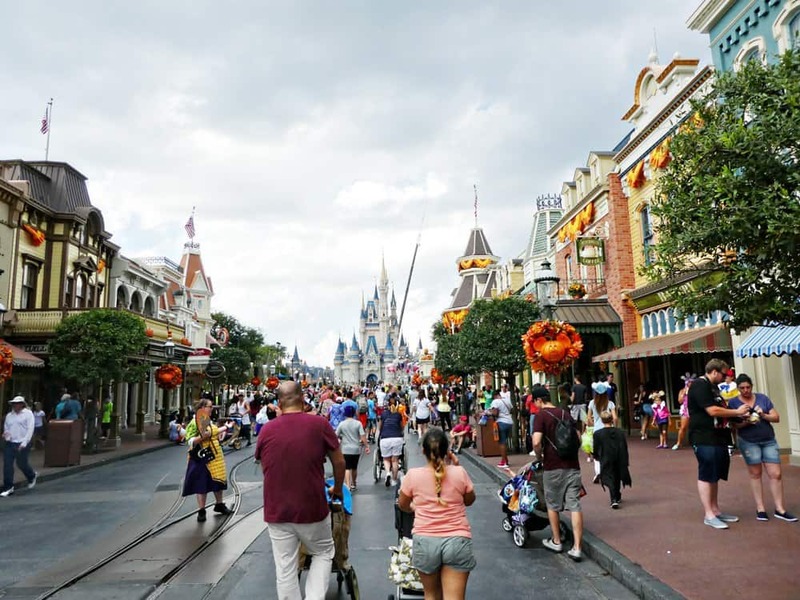 It includes times of the shows, which attractions are open, character greeting locations, what restaurants are serving food and where guests can trick-or-treat. True, there won’t be any FastPass distribution during the actual Party (7 pm to midnight) but here’s a little trick. With your special event ticket, you will be able to book FastPass from 4 pm to 7 pm! I was able to pre-schedule two FastPass on the day of the event before the Party began. 3 extra hours before the Party so we went on rides! 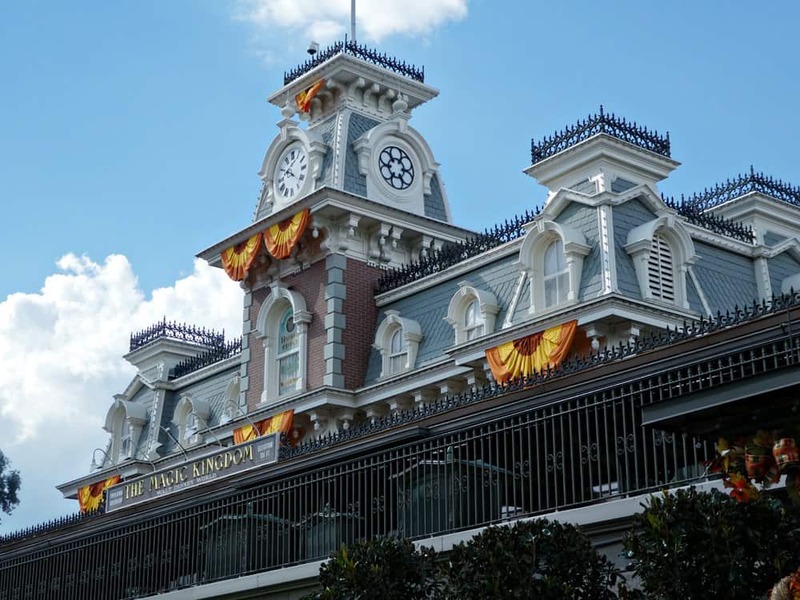 Advance Dining Reservations will be available during the Halloween Party so book those early to dine at your favorite Magic Kingdom full-service restaurant. However I would suggest that you try to eat before 7 pm so as not to “waste” your precious Party time. Also many of the dining locations will close during the Party so your choices will be more limited and lines for quick service will be longer. Check your guide map to verify which locations will be available. I ended up eating a boring burger & fries at Cosmic Ray’s because my first choices were either booked full or were closed. Cadaver Dans Barbershop Quartet will sing in Frontierland. Hocus Pocus Villain Spelltacular happens 3 times each Party night. Singing, dancing and slightly spooky fun. This is a LOUD show and several villains appear, so if your kids are particularly nervous, you could choose to skip this. The last show of the evening is the least crowded. Happy HalloWishes Firework show happens only once per Party night. I recommend finding a place to view it in front of Cinderella Castle at least 30 minutes early. Boo-to-You Halloween Parade happens twice. Keep reading for why I suggest watching BOTH shows! Everyone, even the grown ups, are encouraged to trick-or-treat. But don’t jump into a treat line right away. Lines will be extraordinarily long at the beginning of the Party. If your little ones can hold out, consider taking advantage of the shorter ride lines and Halloween Party shows first. Then trick-or-treat after 10 pm when the lines are considerable shorter. Magic Kingdom is very large and little legs can get tired quickly! 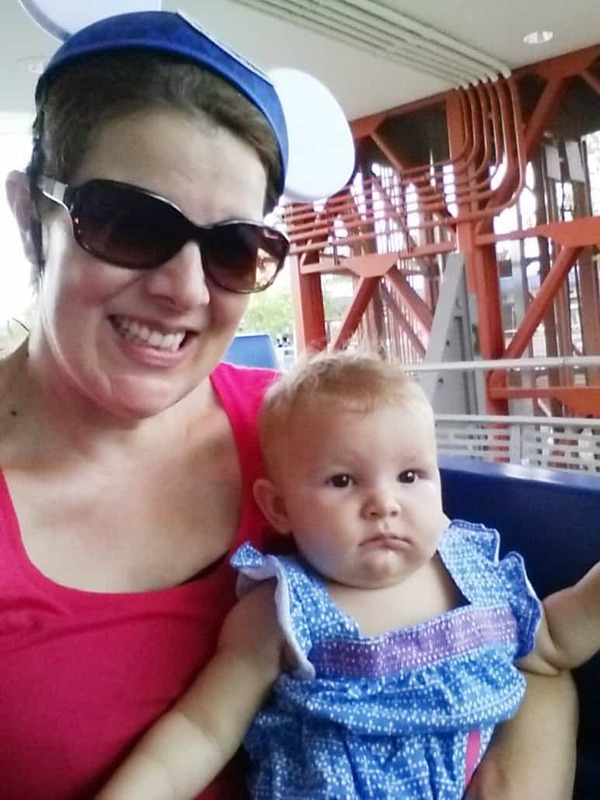 Consider bringing or renting a stroller when taking babies, toddlers or preschoolers to Disney World. I recommend my travel partner Kingdom Strollers as they offer very competitive rates and will deliver for free directly to your resort hotel! 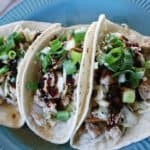 Concerned about food allergies? Request a special bag from Cast Members who are handing out treat bags & guide maps. This teal colored bag will signify a food allergy. Cast Members at the various treat stations will hand out teal tokens. These tokens can be redeemed at special locations for allergy-friendly treats like cookies, gummy worms or even non-food Halloween crafts. Looking forward to meeting with Jack Skellington and Sally? How about Snow White and ALL 7 dwarves? I’ve heard of wait times hovering around 2 hours! With the Party only lasting a total of 5 hours, I’d think twice before spending so much time waiting in a line for one photo op. Some attractions do not stay open during the Halloween Party. For instance, Walt Disney’s Enchanted Tiki Room and Jungle Cruise are open only as treat locations to distribute candy. However Pirates of the Caribbean is open as both an attraction and as a treat location. Check your guide map before promising any rides to your kids and verify the attraction will be available! 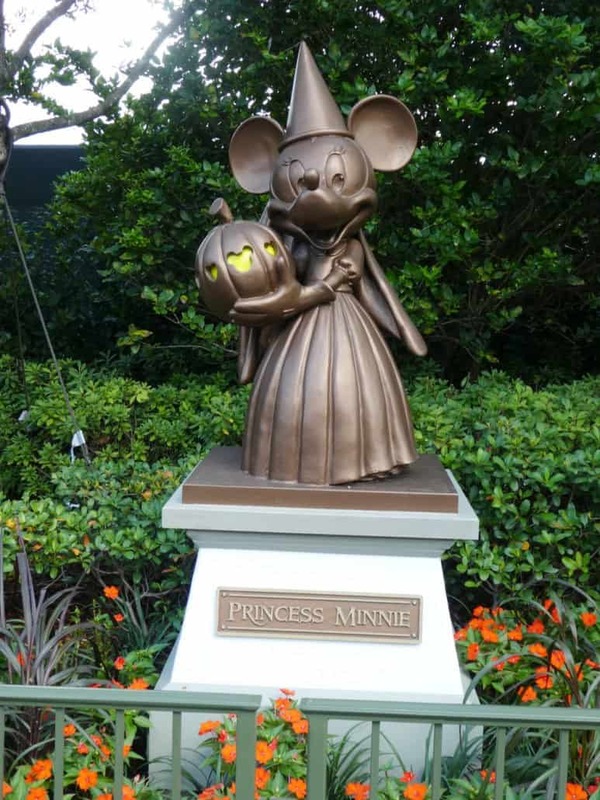 PhotoPass photographers will be located around the Park taking special photos during the Halloween Party at Disney. Photographers will be available at character meetings to take pictures with their camera or even your own. 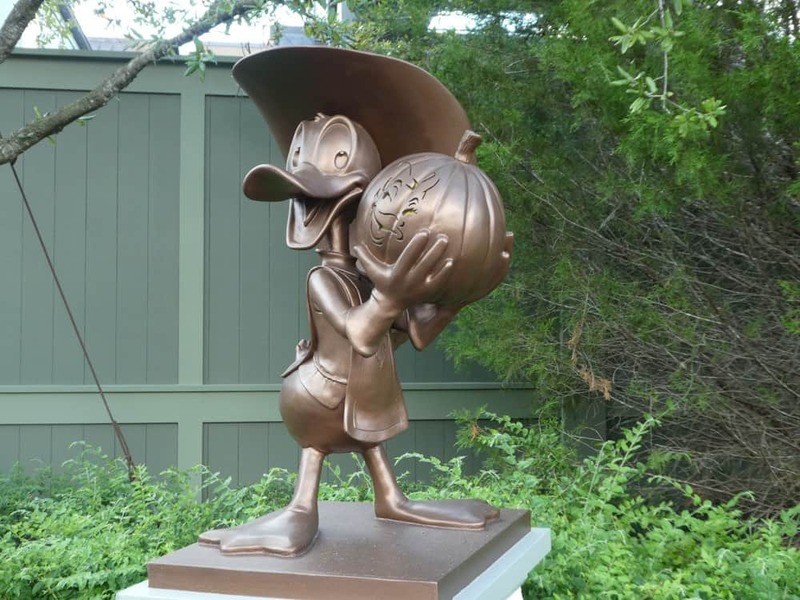 Magic Shots and Animated Magic Shots will be taken at several locations – Magic Kingdom Main Entrance, Haunted Mansion, Town Square, Main Street, U.S.A. and Liberty Square. You’ll pose, the photo will be taken and you won’t know what surprise characters will show up in your photograph! I love a Disney fireworks show and this one is AWESOME! My daughter and I sat on one of the grassy areas in the hub (about 30 minutes before the show began). We had no problem finding a place to sit and the view of the show was perfect. I wore my Made with Magic Mickey Ear Hat and the ears lit up and flashed alone with the music for the show, it was so much fun! 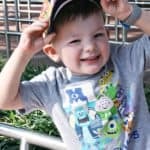 When I visited Magic Kingdom with my preschooler he was able to stay up past midnight. However that’s because I’d kept him on West coast time so it was really only 9 pm for him! If your kiddos are used to going to bed earlier than when the clock strikes midnight, consider that you may be leaving the Party early to get them to bed. Depending upon your child’s temperament (and how much candy was consumed) there might be an epic meltdown. Or take advantage of the earlier timed events and then let the kids fall asleep in their stroller. 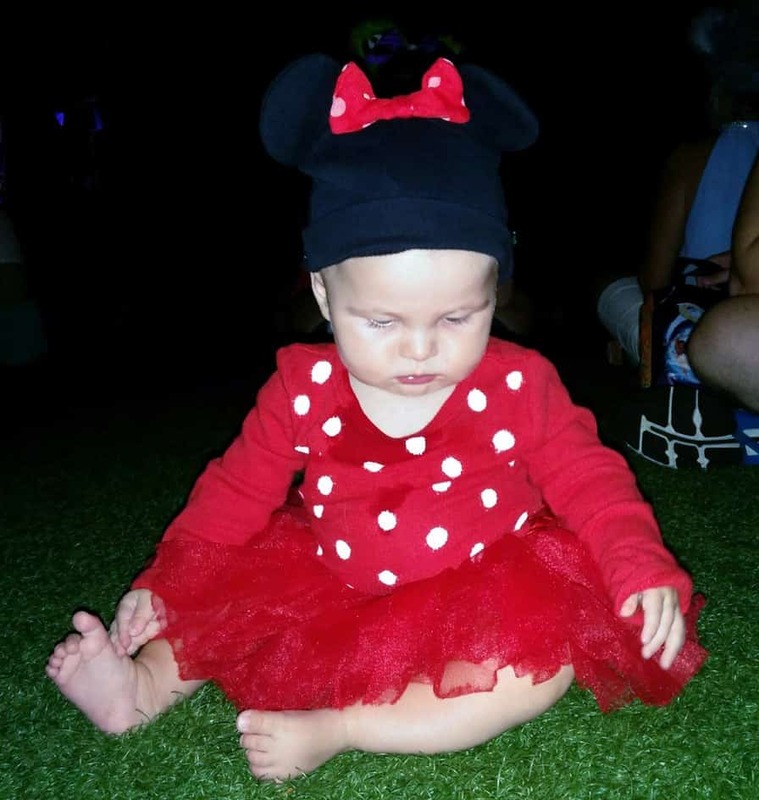 Planning on taking a baby to the Halloween Party at Disney World? 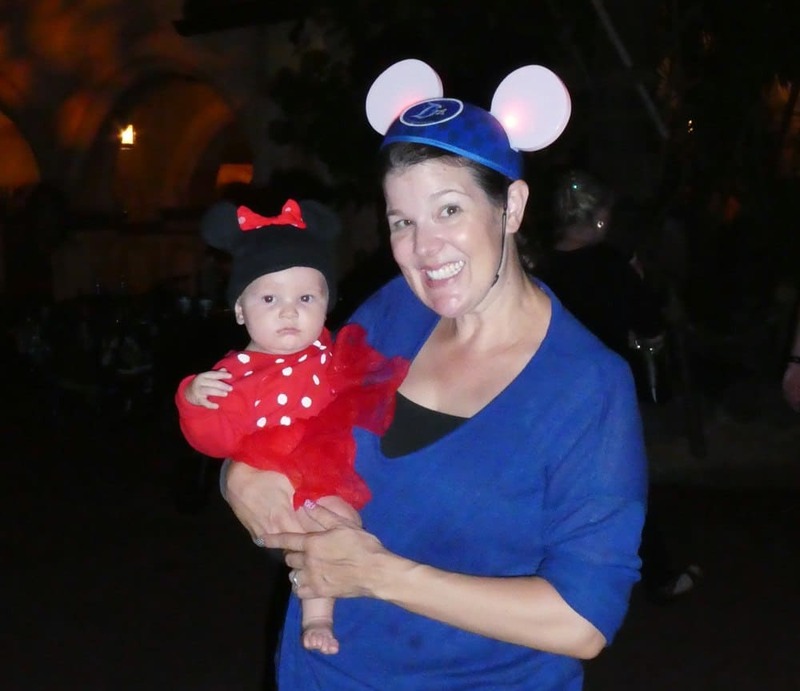 Check out my Disney Baby post. If you have kids under 5 (or a child who will fall asleep early) definitely bring a stroller. 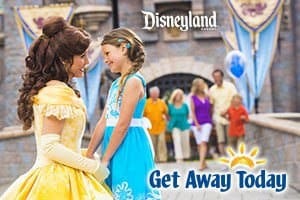 LOOKING FOR DISCOUNT DISNEY VACATION TICKETS?